Epix HD has signed an agreement with Verizon to run its channel on Verizon’s FiOS TV network, a distribution deal that could reach as many as 2.5 million households. The 15-month-old joint venture owned by Viacom (Paramount Pictures), Lions Gate Entertainment and Metro-Goldwyn-Mayer Studios will start service exclusively with Verizon on Oct. 1. The channel will be available in standard and high-definition, broadband, VOD and through Verizon’s VCast mobile service, according to The Hollywood Reporter. The deal doesn’t describe how the channel will be distributed, as part of a bundle or a-la-cart. This is the first carriage deal for Epix, who would certainly like to move into the 60-million plus cable subscriber industry. 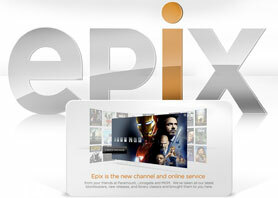 Epix HD also recently launched a website in private beta mode which apparently will offer streaming services.